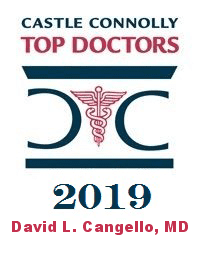 If you have areas of your body that haven’t responded to diet and exercise, liposuction may be an excellent option to address your “problem areas.” Using only small incisions that are expertly placed to be inconspicuous, Dr. Cangello can change the contour of these areas by removing excess fat. This procedure is a highly effective way to reshape your body, especially if you have good skin elasticity in these areas. Common locations for liposuction procedures are the abdomen, lower back and flanks (sides of the abdomen) anterior neck (under the chin) , upper arms, thighs and hips. Liposuction is versatile and can be used almost anywhere to get rid of unwanted fat deposits. It offers flexibility and allows your surgeon to re-contour your body to the shape and proportions that you want. Liposuction is a popular procedure because of its effectiveness and the relatively short downtime following the surgery. Though there may be some swelling and bruising after your liposuction procedure, most patients are able to return to normal activities within a few days to a week. Your final results are visible within months, and most patients are extremely happy with their new shapes! “Mommy Makeovers” have become extremely popular because they offer women the chance to reclaim their pre-pregnancy figure. Pregnancy, nursing, and caring for young children all take a toll on the body, and everybody is different. That is why the mommy makeover is fully customizable for each patient and will be designed to address your exact complaints. Why live with a body that you don’t feel great in when there is another option? While all Mommy Makeovers are different, most of them address the abdomen and breasts as these are the parts of the body that are most changed through pregnancy and child-rearing. A tummy tuck allows your surgeon to repair the abdominal muscles that are damaged during pregnancy and remove excess fat and skin that often plague new mothers. Targeted liposuction can transform your silhouette by removing fatty deposits around the abdomen, hips, thighs, or other areas. Additionally, most mommy makeovers include a breast augmentation, lift or combined procedure to restore sagging breasts to a more youthful position. Regardless of which procedures you choose as part of your mommy makeover, you can rest assured that Dr. Cangello will give you beautiful, natural-looking results. If you would like fuller and shapelier buttocks, fat grafting can help you achieve the look you want. Fat grafting involves the transfer of fat deposits from one area of your body to another. This means that your own fat cells can become re-established in their new location, giving you a more flattering contour. Over time, fat loss and gravity can take a toll on your buttocks, leaving them less round and much less lifted. Fat transfer from the hips or abdomen to the buttocks can produce a more rounded rear and enhance your natural curves. 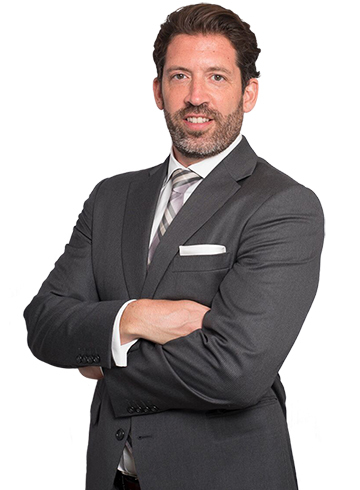 Dr. Cangello has advanced training in fat grafting and his expertise in this technique will allow him to expertly create your ideal shape. These are some of the many ways we can help you start 2019 feeling great about yourself. Get the body you’ve been dreaming of and start the year off with your ideal silhouette, feeling fresh and confident! If you are in New York and ready to start the new year with a new you, call 212.644.4416 today to schedule a consult with Dr. Cangello; his advanced training and extensive experience mean that you will get superior treatments to look your best!